In 2011, University Paris 2 Panthéon-Assas decided to launch an ambitious internationalisation program, notably through the creation of several campuses, branded « Sorbonne-Assas International Law School », throughout the world: Dubai, Paris, Mauritius and Singapore. Sorbonne-Assas International Law School aims at preparing the future financial and legal directors, managers of holdings or big companies, or their counsels, to their positions. The LLM in Transnational Arbitration & Dispute Settlement offered by Sciences Po Law School (SPLS) is a one-year, intensive and full-time programme, entirely taught in English. Its aim is to prepare students to act before the extraordinary variety of tribunals and courts that exist worldwide. 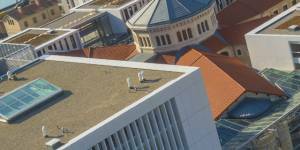 Lyon Catholic University (UCLy - France) offers 2 LL.M. taught in English and opened to law graduates. Both progams offer several tracks in partnership with St John’s University (New York), City University London (UK), The John Marshall Law School (Chicago) and Maynooth University (Ireland). The LL.M. Business covers areas of international business law. The LL.M. Trade covers European, International trade and international investments. 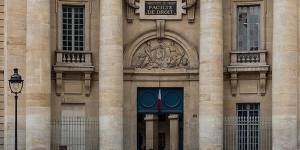 Located in the heart of Paris, Université Panthéon-Assas (Paris II) offers a unique LLM in European Law with insight into the legal and political significance of the European Union. Taught by European Law specialist from highly acclaimed universities all over Europe, during this Master you will explore the foundations of Europe, the economic and political implications and the basis of the complex and fascinating legal framework that supports the European Union.